This article was written by the Southern Regional Development Bureau of the Iwate Prefectural Government, and translated by Amanda Wayama. 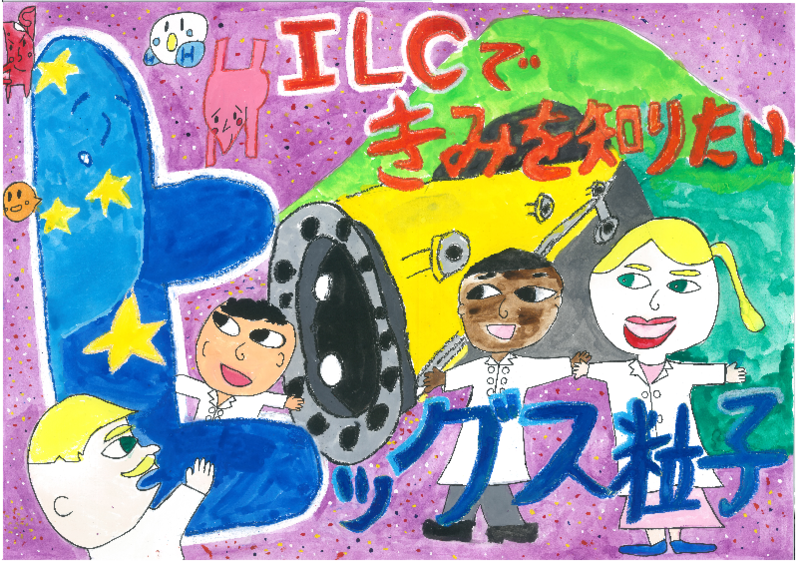 Just like last year, the Southern Regional Development Bureau of the Iwate Prefectural Government held an ILC Poster Contest for elementary students for the 2017 fiscal year. 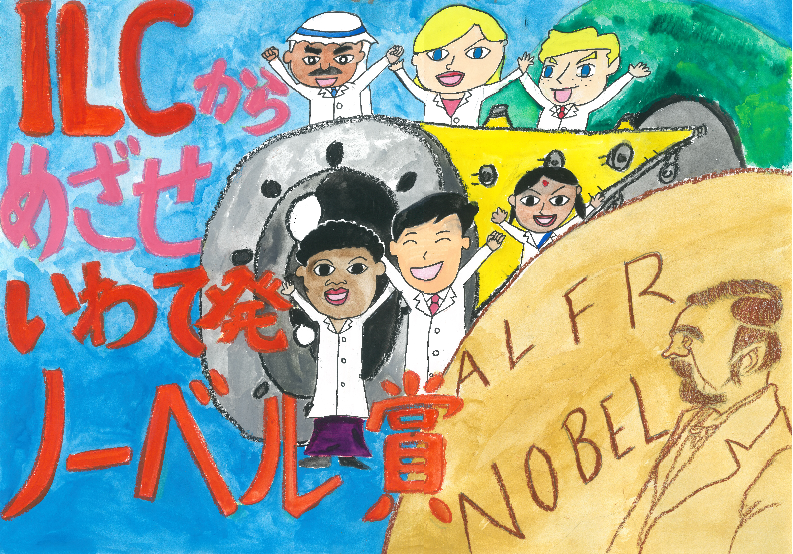 Students have envisioned how the region will change should the ILC be created here, which encourages them to think about a future for Iwate that they, the next generation, will create. This is the third time the contest has been held. 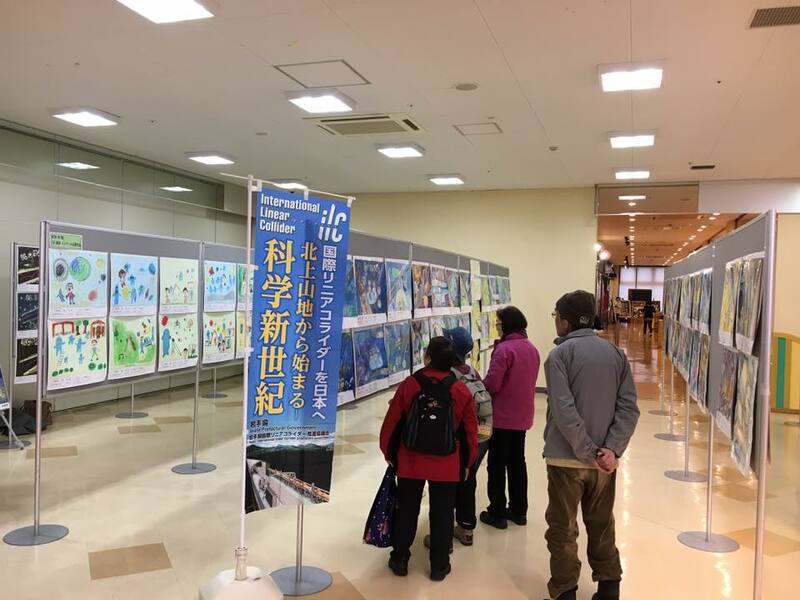 The posters were rated highly by foreign researchers, who were impressed by the students’ artistic abilities as well as how passionate the local area is about the project. 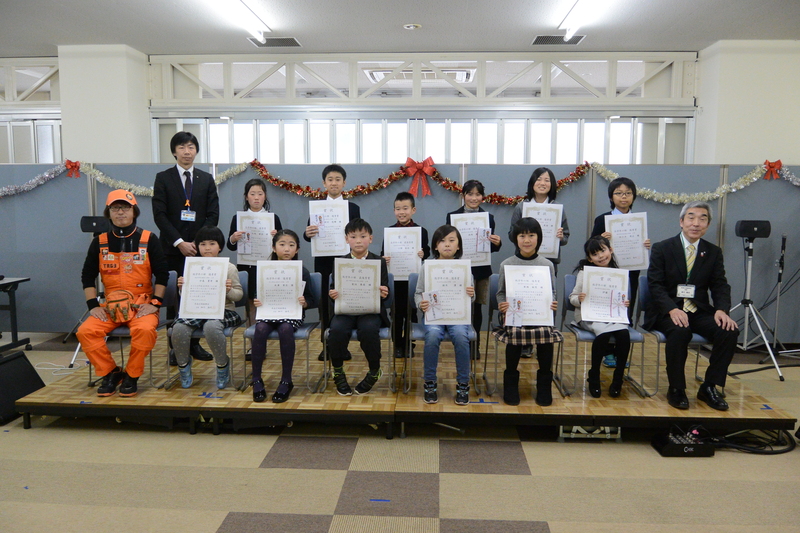 Compared to the first time the contest was held, these local students seemed to have learned a lot about the project. This time submissions ranged from possible ILC experiments, to what a multicultural society would look like thanks to the many researchers who will come from around the world. The students’ fervent imaginations led to a very diverse selection of posters. Takuya and Fumiya Ogura are a pair of brothers from Hanamaki City who have participated in every contest thus far. Yet again, they have snagged prizes for their wonderful work. These posters will help greatly to our efforts to spread awareness of the ILC. 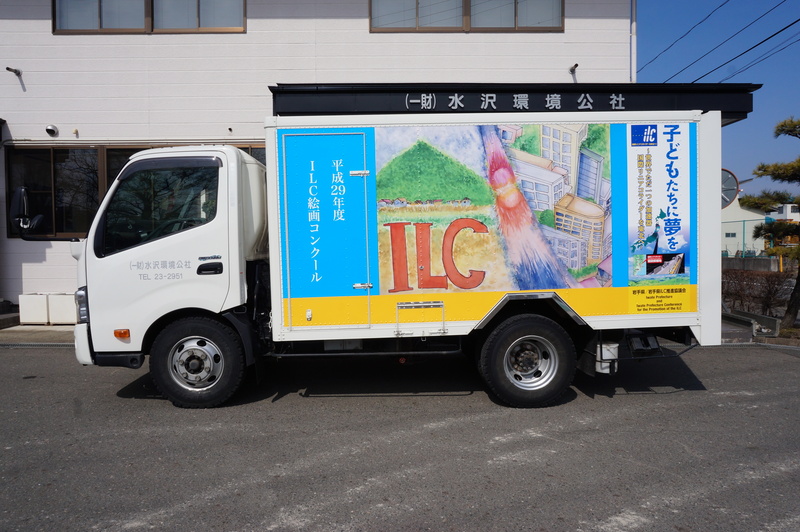 Thanks to the cooperation of a private company in Oshu City, trucks have been covered in winning poster submissions. A total of nine trucks covered in colorful posters will serve a role in revving up the local area for the ILC. Everyone involved with the ILC effort will give our utmost to realize these children’s dreams for the future.